Here's one of two training options offered to you by Defibtech and the AED Superstore®. This affordable training kit allows you to convert your working Defibtech Lifeline AED into an AED training device so you can practice CPR and AED use until you're proficient. It consists of a rechargeable training battery and charger, and training data card. 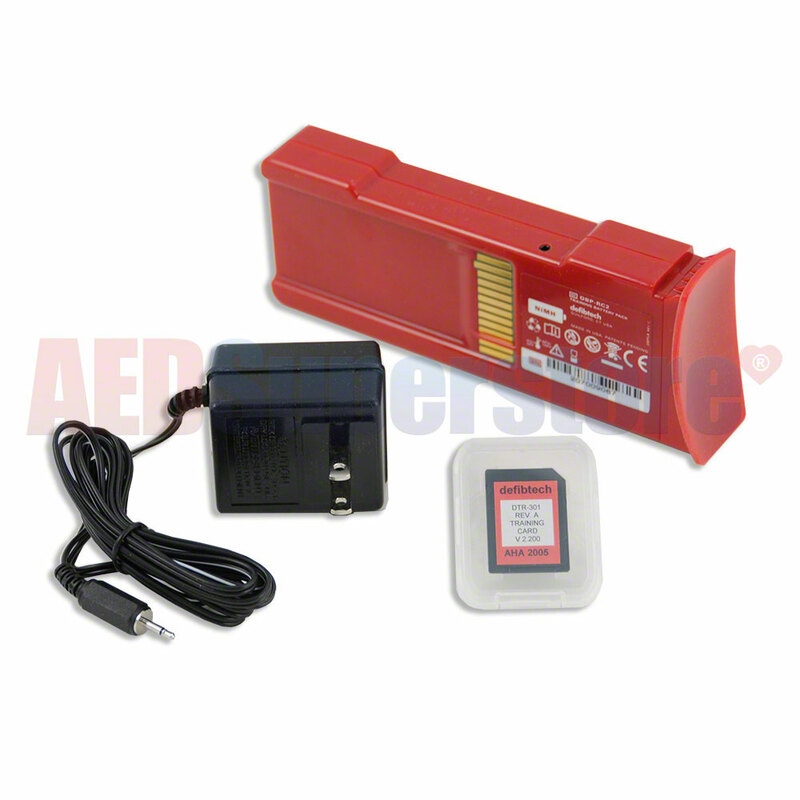 If you prefer, the AED Superstore offers a traditional stand-alone training device, too. Please Note: Training Electrode Pads sold separately.